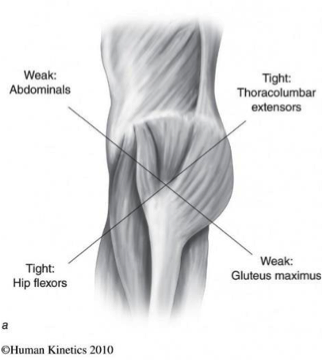 Most people are sitting in a hip-flexed position for the majority of the day, resulting in shortened hip-flexors and weakened glutes. In addition, a lack of glute activation may be the primary source of lower back pain for many individuals. Note: The solution to back pain isn't found in the back, it's in the hips! 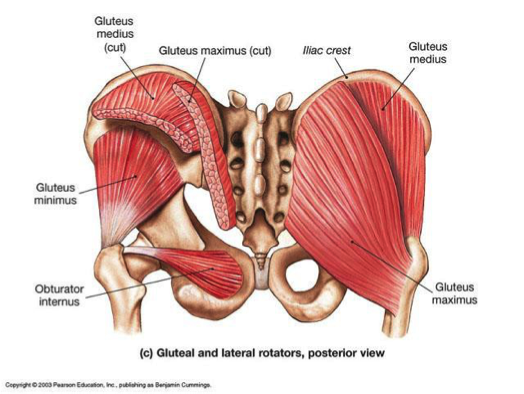 Glute activation should be performed at the beginning of every workout. This may aid in developing better conscious awareness of glutes and ensuring they become better contributors during the workout. Perform 3 sets of 8 repititions (reps) on each side. - Progress to 10 then 12 reps of a 4 week period. Perform 3 sets of 8 reps.
- Once 12 quality reps can be performed, the supporting foot can be elevated onto an aerobic step then further progressed onto an unstable surface (balance board, foam roller, medicine ball etc).